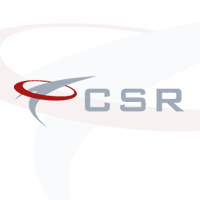 CSR Construction has a new opportunity for a Site Engineer to work in Belfast. The medium sized construction company requires a setting out engineer to oversee all structures and relevant engineering works on the site. The company has over 40 years' experience as a main contractor and continues to steadily grow. They have an excellent reputation within the industry and will provide the successful site Engineer a long term career opportunity solely working in Northern Ireland. The company is looking to add an Engineer with around 2-3 years' experience and proficient in the application/use of GPS, robotic total stations & AutoCAD. Competitive salary with a Van & Fuel. For more information or to discuss in confidence, please contact Diarmaid Fee at CSR on 02892627488. Alternatively, to apply, click on the link below.